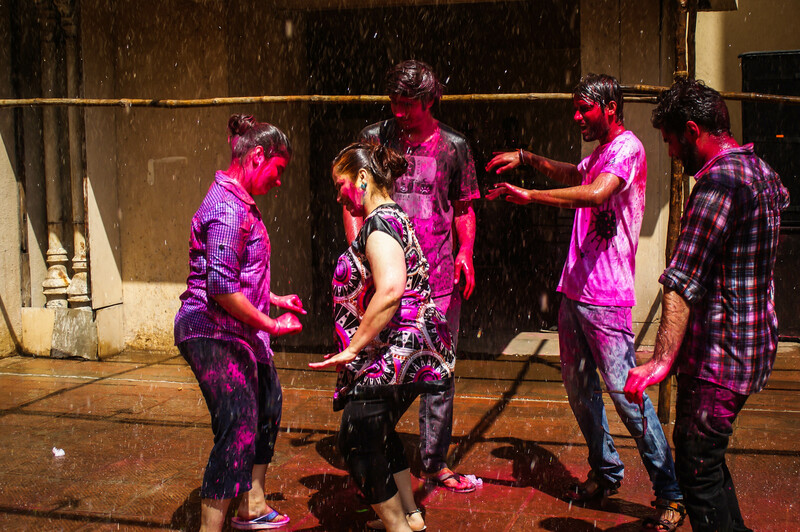 How do Mumbaikers Celebrate Holi? Having seen numerous documentaries and vivid photographs of people covered head-to-toe in brightly coloured powder I have wanted to experience Holi for many years. Out of all India’s many,many, festivals Holi is the most colourful and the most joyful. In fact the emphasis on fun is so great that that the verb ‘play’ is used to describe the act of participating in Holi. You don’t celebrate Holi, you play Holi. For a week before the event my students eagerly asked if I would be playing Holi and who I intended to play with. There was an electric sense of anticipation in the air. 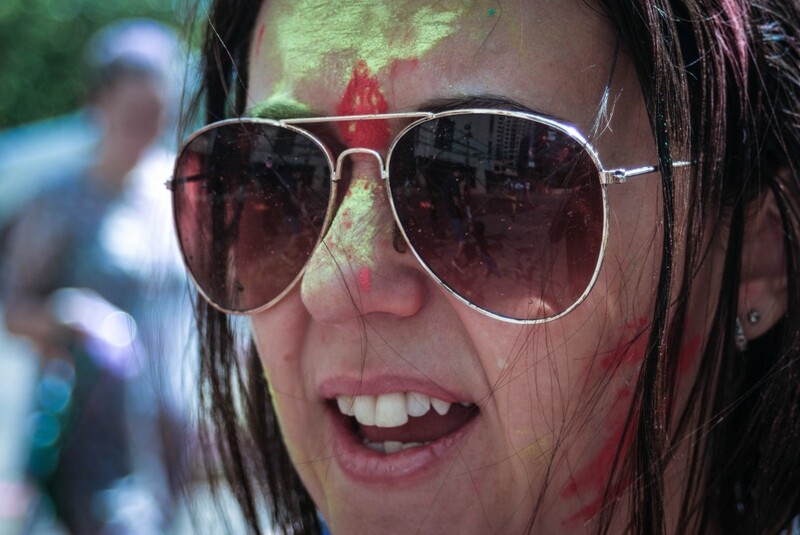 However, I was apprehensive about my first Holi. Researching the festival will lead you very quickly to warnings about safety – particularly for women. Warnings appear in some Indian cities. 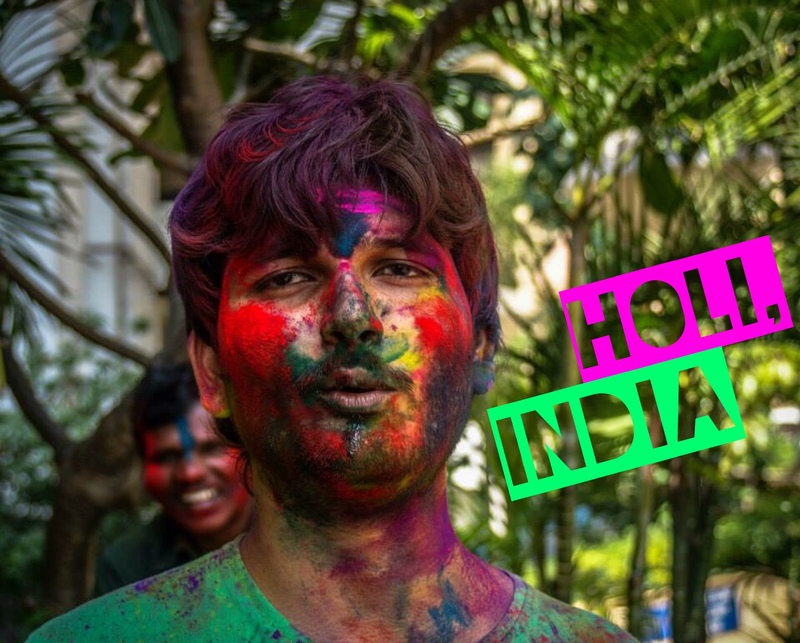 Holi is a time in which people, men in particular, are allowed certain freedoms such as Bhang Lassi – a widely-available milk drink containing cannabis. Heavy drinking is also prevalent. When these things are combined with the country’s biggest street-party, problems occur. Events quickly become rowdy; paint may get thrown instead of non-toxic powder. People are taken to hospital with eye injuries. Women report sexual harassment occurring under the guise of good-natured fun when a man smearing her with paint may take the opportunity to touch more than he should. In fact women are often advised against playing Holi—I certainly was by my Indian colleagues. 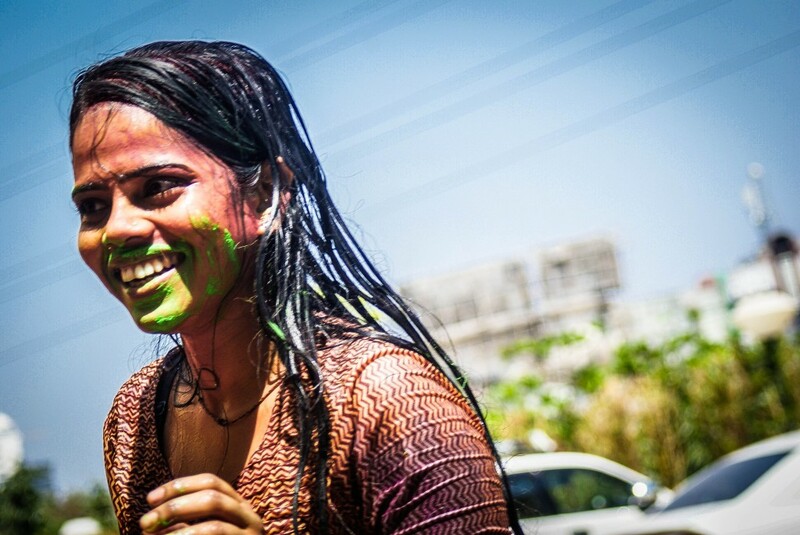 I was told that I should only consider playing Holi in a safe zone – amongst friends and their families. Luckily, I live in a small compound where I know a number of locals and other foreigners. It was the perfect venue to play Holi. A white outfit – if you are going to get splashed in colour you might as well make it a work of art! Before you leave home it is advisable to cover your skin and hair in coconut oil, this will make removing the powder much easier. Bear in mind that Holi starts early in the day, around 10am. By mid-afternoon the celebrations will be finished. The police entered our building at exactly 4pm to ensure that the party was well and truly over, so you have to be up early to join the fun. The first daub of powder. I was amazed by how respectful everybody was. Instead of launching powder in my eyes, people approached me asking if this was my first Holi. 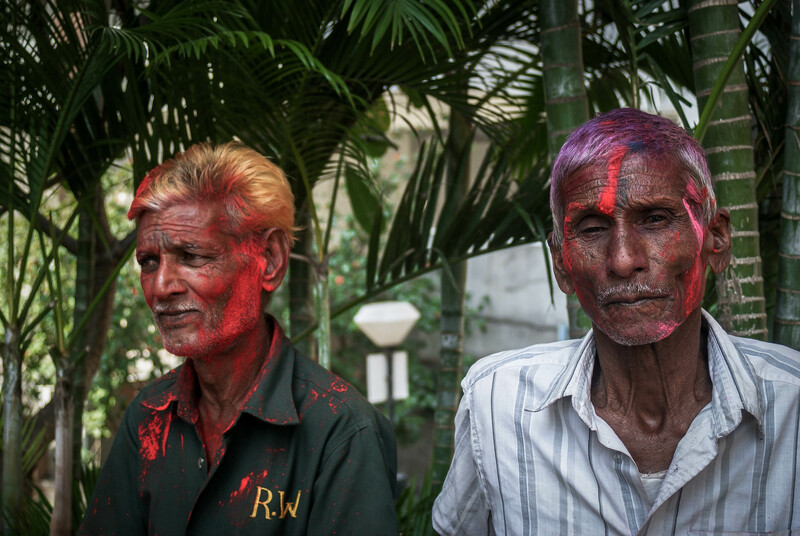 They wished me a happy Holi and respectfully smeared my cheeks all colours of the rainbow. Children armed with water guns eyed me cautiously and pointed their guns elsewhere until I soaked them with my super-soaker to let them know I was fair-game! What I didn’t expect was the addition of the ‘Rain Dance’, a sequence of sprinklers set up above a makeshift dance floor pumping out dance tracks. 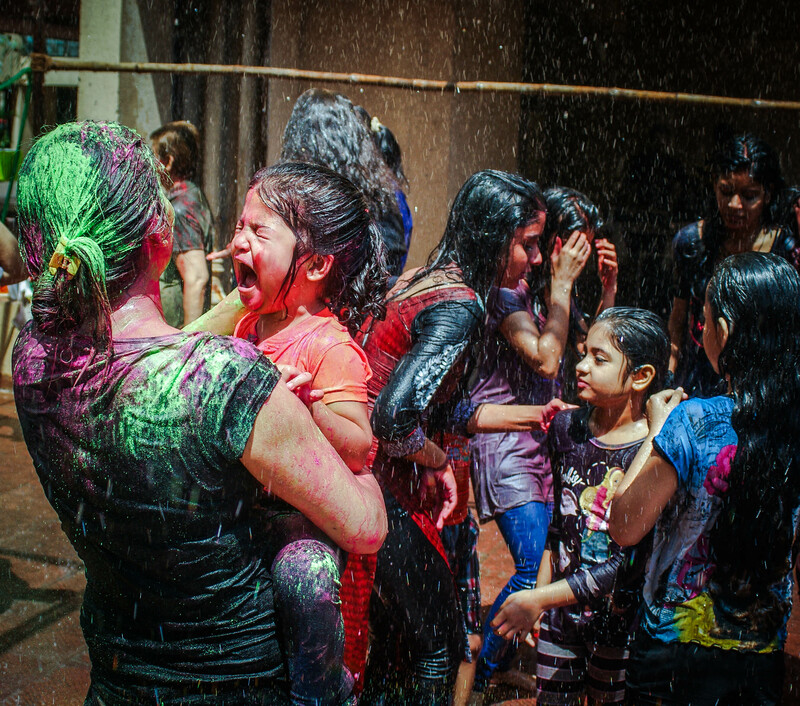 After getting completely covered in powder people danced in the rain, causing a rainbow of colours to streak down their bodies and run in rivulets at their feet. 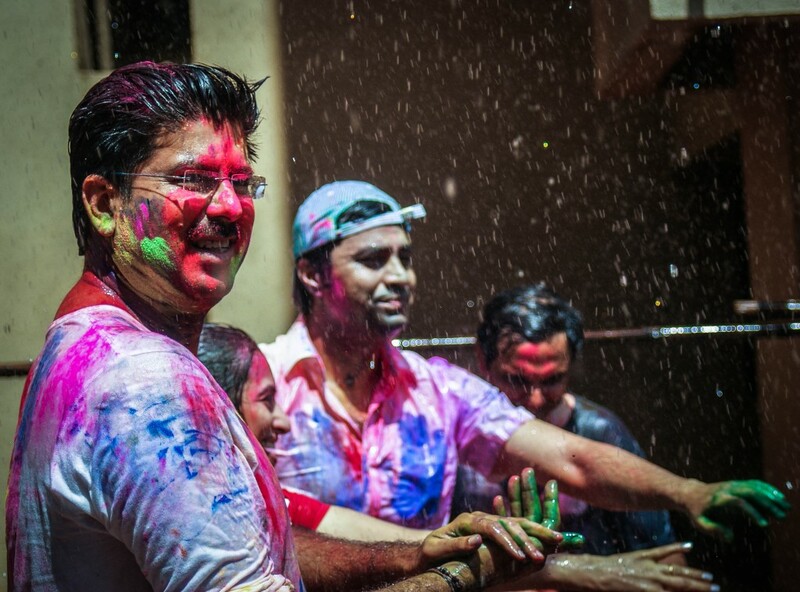 The mixture of Bollywood and Holi was mesmeric. And then there’s the food. Oh, the food! There is no party quite like an Indian party when it comes to food. Not only were we served wonderful street-food dishes such as vada pav, sev puri and sickly-sweet jalebi, but there was a full buffet to choose from too. One of the things that India really gets right is community. 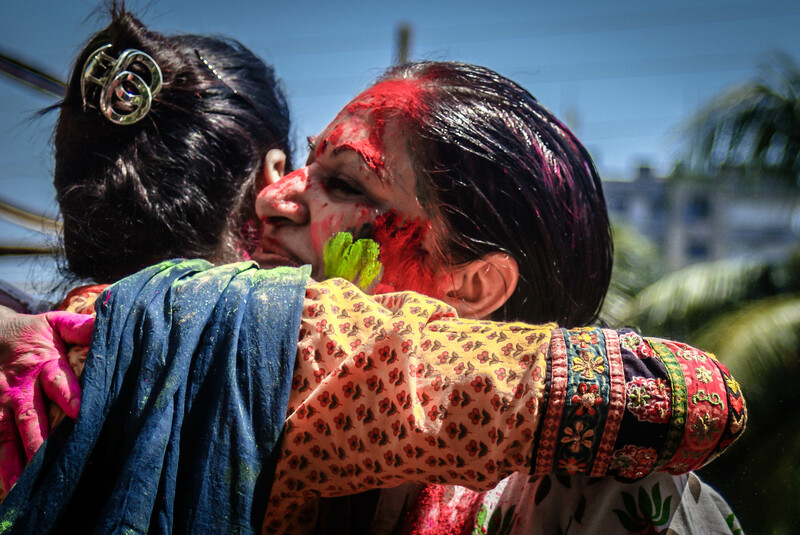 Holi is open to everybody; mothers with babes-in-arms sat alongside great—and in some cases, great-great—grandparents all watching the younger ones (and some older) dancing and playing. It truly is a wonderful sight. Friends and family members smile and embrace gleefully. The compound staff may have been working, but they didn’t escape the powder. I am so happy that my first Holi was a positive and joyful experience and I simply can’t wait to do it all again next year. Have you ever played Holi or would you like to? I would love to hear about it in the comments below. I’m glad I got to read this post. What would you suggest for a solo-female traveler hoping to partake in a safe but exciting Holi celebration? Maybe hostels create groups that go together so that foreigners can ensure safety? Also, I love your final photo. The expression on the man on the right is priceless! 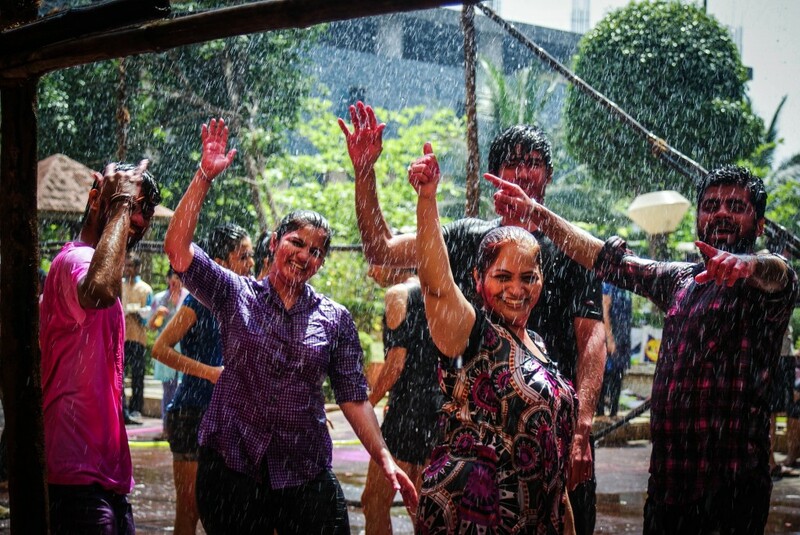 Hi, yes – I think many hostels arrange Holi parties for travellers. I would honestly advise a solo traveller to celebrate Holi that way, rather than simply heading out unaccompanied to a large street party. Firstly the safety aspect. You must remember that the majority of people playing Holi are respectful and just having fun – most of them will simply dab powder on your head, wish you happy Holi, and be on their way. But you don’t want your experience to end up in your feeling unsafe, or worse, violated. Secondly, Holi is a wonderful event to share with friends. There is a great sense of camaraderie and playfulness – plus you need somebody there to take pictures of you all covered in powder. I will most likely spend Holi 2016 in Rajasthan. I will be looking up a group tour for sure!